The dolls are finding homes tout de suite at Makespace, so come on down and nab yourself one. 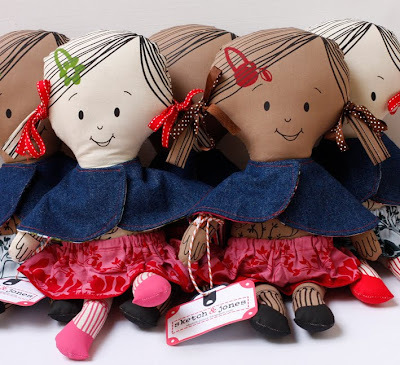 I'm off to Avoca markets this Sunday with plenty of pretty coloured dolls and other sweet wares. Avoca beachside markets, 9am - 2pm. Hi. Will you be at the Olive Tree Markets this Saturday? Any chance I could purchase a doll with the name Phoebe?